Remediation - Betts Environmental Recovery Inc.
Betts is experienced in remediation services including remediation of soils by excavation and disposal and groundwater treatment systems as well as well monitoring, recovery and abandonment and the installation of remediation systems. Using any of our drilling systems, Betts can install air sparge (AS) wells or soil vapor extraction (SVE) wells at your site as well as the larger diameter (4 inch) wells typically used for recovery of impacted groundwater to be treated. Betts now offers sonic drilling for areas with variable lithology or bedrock drilling needs. In addition to the drilling aspect of remediation, Betts is experienced and well qualified in underground storage tank closures/removals. Betts can (and does!) do the trenching and piping tasks for a remediation system after the wells are drilled. We have trained equipment operators and field technicians that can dig the trenches for the pipe runs and then install the piping. 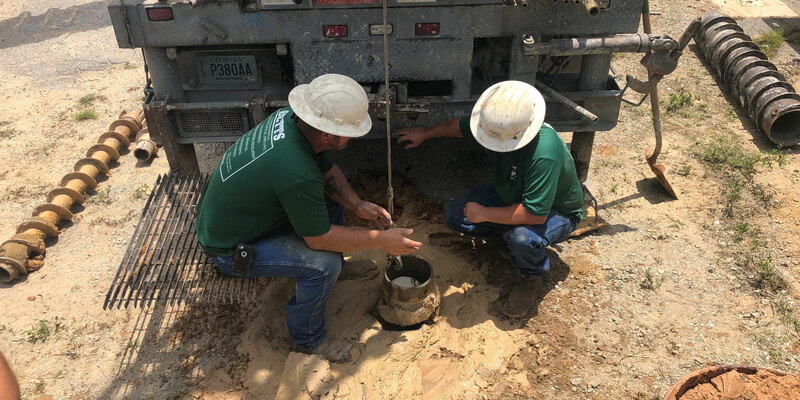 After the remediation of a site is complete, Betts can properly plug and abandon the wells installed and close/remove the piping and remediation systems and the trailers they are mounted in. Let us help you with your next project.